Best episode ever! Of course, that had little to do with me. Our buddy and podcaster extraordinaire Dave Dameshek dropped in to give our humble radio program a boost. We discussed a wide range of things including retro uniforms, 1990's hockey, the Steelers-Broncos upcoming game on Monday night, and Dave hinted around about his future plans. I was like a kid in a candy score having my favorite podcaster drop by our humble little program. A good time was had by all. 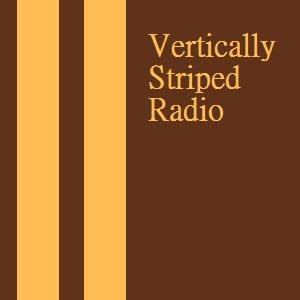 If you only listen to one episode of Vertically Striped Radio...this is the one to check out. A big thank you to Dave for dropping in!